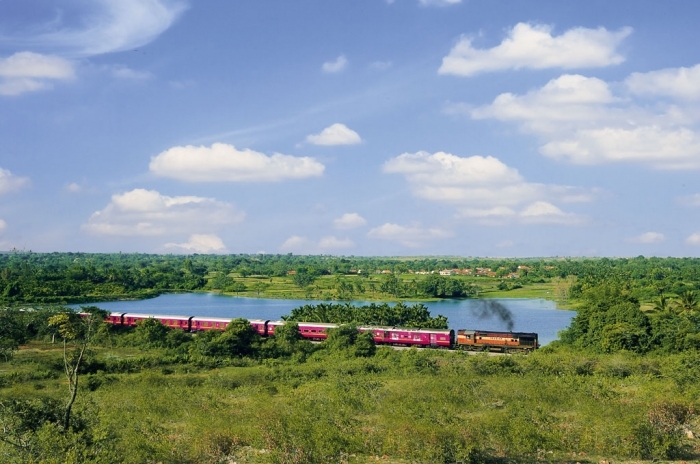 The Golden Chariot, the first luxury train of South India, is soon going to start its journey for the 2013 season. As the train has two different itineraries, Pride of the South and Splendor of the South, there is a discount of 15% offered on the journeys, on the occasion of Dussehra. The Pride of the South is a journey of 7 nights and 8 days, starting from Bangalore. The journey makes the guests travel to various destinations such as Kabini/Bandipur, Mysore, Hassan, Hospet, Badami, and Goa. The Splendor of the South is the another journey of 7 nights and 8 days, offered by The Golden Chariot. This itinerary also begins from Bangalore and covers to some of the major destinations such as Chennai, Pondicherry, Thanjavur, Madurai, Thiruvananthapuram, Alleppey, and Kochi. The journeys are tastefully designed to make sure that guests get firsthand experience of the rich heritage of India. The management of the train also ensures the element of luxury and comfort throughout the journey. There are 44 cabins in The Golden Chariot Train for the accommodation of the guests. The cabins are categorized as 26 twin bed cabins, 17 double bed cabins and 1 cabin for the physically challenged. For dining, there are two restaurants namely Nala and Ruchi, available onboard. Apart from this, there also are various recreational and business facilities provided to meet the specific requirements and level of satisfaction of the guests.